America. 2022. Crime and unemployment rates are at an all time low. 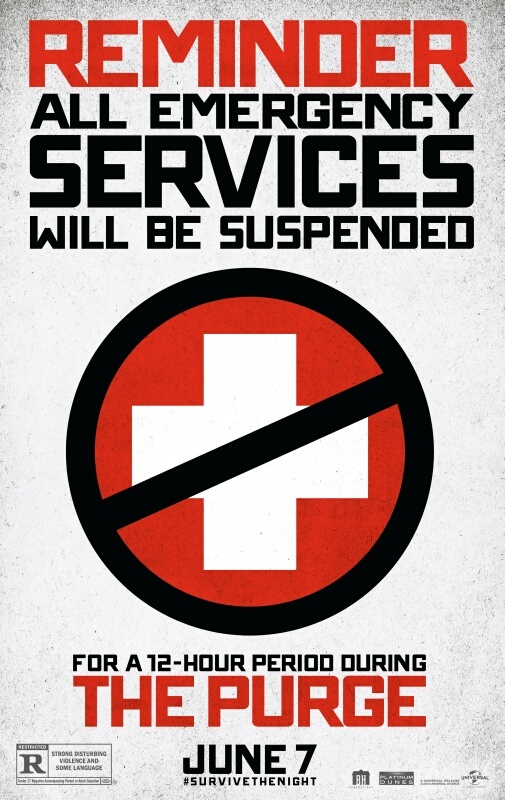 The government gives credit to the “Annual Purge” which allows a 12 hour period where all criminal acts are legalized. From 7 pm until 7 am the next day you can steal, harm, and kill with no threat of punishment. You also can’t call the police, hospital, fire stations, etc. for help. The Sandin family, James, Mary, Zoey, and Henry, lock down their home for the annual purge but they are quickly faced with threats from outside AND inside their home. Yikes! Is it every man for himself during the Annual Purge? Of course we see the characters struggle with the morality of the Purge. Some people want to grab a gun and fire off a few rounds while other people want to be above the violence, even if it leads to their death. I think this movie tried to set up a situation where the Sandin family has to make a tough, moral decision, but it lost impact once the violence started up. I enjoy home invasion movies but sometimes it seems like a double edged sword. You don’t always know where someone is hiding inside or outside the home, and that’s the fun. But, that means someone can appear at the right moment to make a kill or to save the day, and sometimes it seems too convenient. This happened alot in The Purge and it took away from the suspense because I could predict it. I like the premise of the movie and it was entertaining enough, but if you haven’t seen Fast 6, Iron Man 3, or Star Trek into Darkness go see those first. The Purge will probably serve best as a Redbox rental on a lazy weekend.